After the Inspector-General of Police ordered that all police investigating units be restructured for better service delivery, the Lagos CP, Imohim Edgal got busy. On October 5, 2017, he set up a panel to review the operations of the Federal Special Anti-Robbery squad (FSARS) and Anti-Kidnapping Squad of the Lagos command. The panel, made up of serving and retired police officers as well as some civilians were given two weeks to carry out their assignment. They were to recommend ways to make the units more efficient and professional. Allegations of human rights violation, suitability of officers currently on posting to affected units were issues being resolved. After four weeks, the committee submitted their report and all eyes shifted to the Lagos CP, Imohimi Edgal to review the recommendations. The chairman of the committee, retired Commissioner of Police, Samuel Adegbuyi spoke to Bounce News on November 10, few days after meeting with the CP. One of the biggest concerns at the time was the agelong issue of human rights abuses against men of SARS. Mr Adegbuyi acknowledged that the continued success of the police and its special units is dependent on mutual respect between them and the people. He expressed optimism that the Lagos command would review their recommendations, develop their own version and present to Lagosians what and how they intend to implement. Little did the Lagos Police commissioner know that something like #EndSARS would happen and make such impact while he waited for the implementation of his own plans. The whole of Nigeria turned against the Special Anti-Robbery Squad (SARS) over cases of abuse, extortion, extrajudicial killings and many more allegations of brutality against the people. Just as the IGP ordered immediate restructuring of the unit at the federal level, it was time to act in Lagos. Afterall, some of the complaints came from Lagosians. 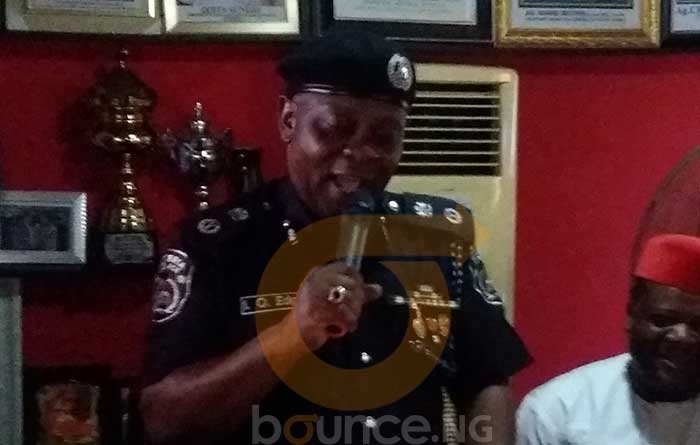 Now, the Lagos State Police Command says it has begun the implementation of the recommendations of that panel of inquiry into complaints of professional misconduct by Special Anti-Robbery Squad (SARS), Anti-Cultism and Anti-Kidnapping units. The state police boss, Imohimi Edgal, said the recommendations critically assessed past and current allegations of human rights abuses against the SARS and other special units. Edgal addressed reporters at the command headquarters in Ikeja on Tuesday. “They were tasked to look into all allegations of human rights abuses against officers and men of the units and give recommendations to prevent reoccurrence. “They were tasked to profile personnel currently posted to the units and determine their suitability to continue in the units. “They also made recommendations for the immediate training of officers and men of the units on the principles and tenets of fundamental human rights and the rule of law. “Disturbing issues relating to investigation of civil matters, illegal detentions, prolonged and unconstitutional detentions, safety and custody of exhibits, welfare of suspects and detainees, sexual abuses molestation in any form, right to bail with an emphasis that bail is and must remain free among other areas that the panel has deemed reasonable for modification would be overhauled to sharpen the force performance and boost its image,” he said. The sad reality is that many Nigerians would not consider this good news, at least not yet. This is because, restructuring, reform, reorganization and even rebranding are words that have been freely used by police authorities in the past with little change to show. But then, citizens can only hope that things would be different this time. Lagosians particularly should have reasons to have faith, considering how the police have handled the killings in Ikorodu town and brought Badoo to its knees.